Thanks to everyone who left such valuable comments on garnering the information I want about residential facilities. I really appreciate it! …but he never wavers from his desire to see grandma. Our cat Sugarpuss now lives at grandma’s house because Jonah was attacking her, picking her up by her fur and once trying to grab her collar, nearly choking her. Sweet little sugarpuss, who we rescued from a back Albany alley in 1999 and who wants nothing more than to love and be loved, purring and meowing and mushing her face into your face. My mom likes to read at night and Sugarpuss actually crams herself between my mom and her book, then tries to sleep on her head. 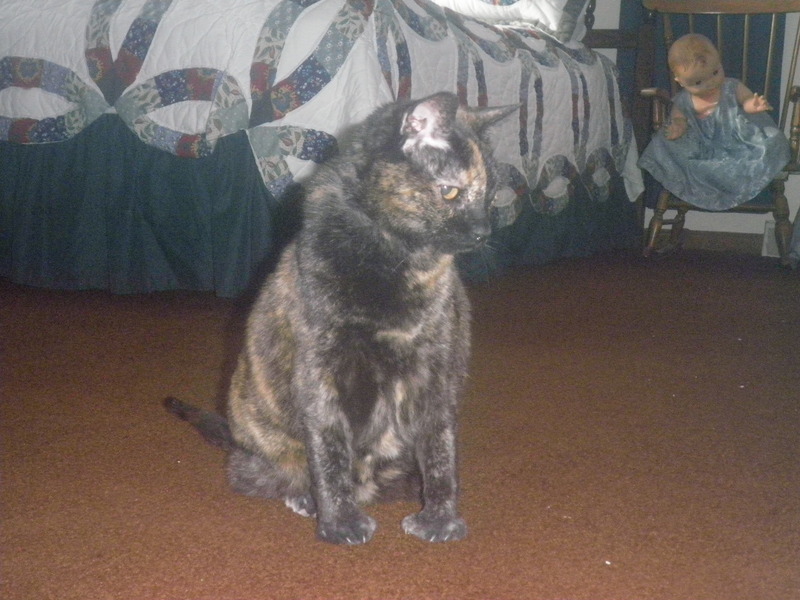 My mom’s other cat, Bootsie, doesn’t seem to mind Sugarpuss so much but Bootsie’s definitely been displaced somewhat. When Jonah is at her house we watch him extra carefully around the cats, lest he produce his best imitation of a hiss and chase them. 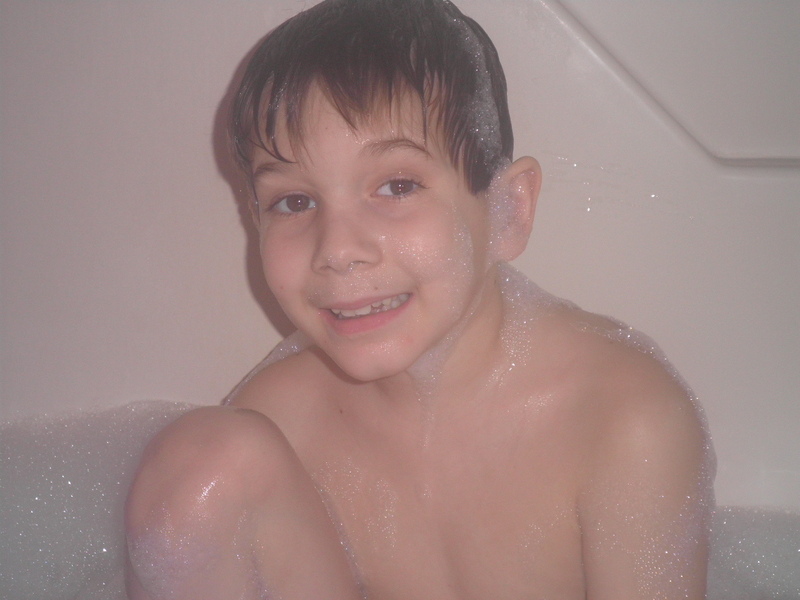 One thing that’s definitely increased by leaps and bounds is the amount of baths Jonah wants every day. We can bathe him in our house and arrive at grandma’s with his hair barely dry, yet he’ll enter her house, run up the stairs, and immediately declare his desire: bath! It is no hyperbole to tell you some days he takes 6-10 baths a day. And here we have certain rules and games and necessities as well – usually only one of us can be sitting in there with him, and sometimes we are all banned: no grandma! no daddy! no mama! or, if he decides he wants one of us, hey daddy?! Then there are the bubbles. 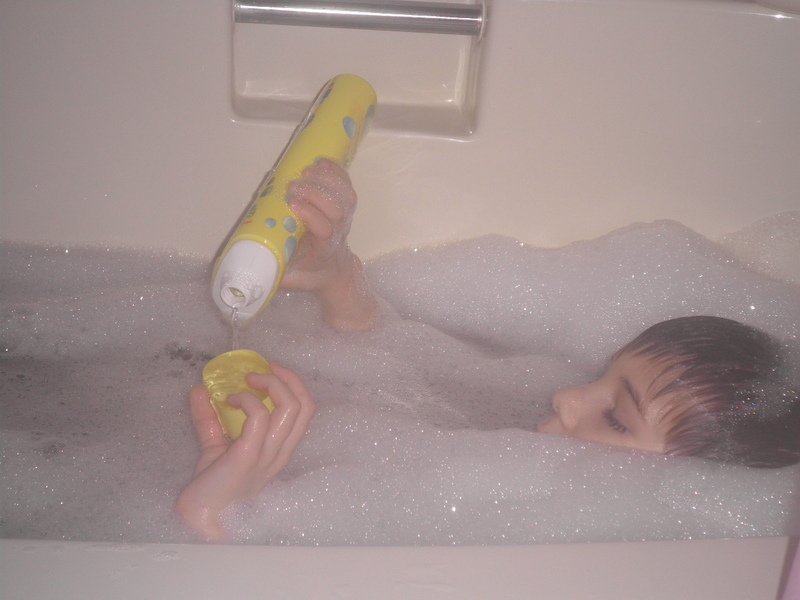 There must be bubbles, lots of them, and water (pretty hot water) as far up to the top of the tub as we’ll let him have it – so he can go underwater completely, take mouthfuls of soapy water and spit them in perfect whale-spouts into the air, and cavort about, making waves, always requiring a towel or two on the floor. 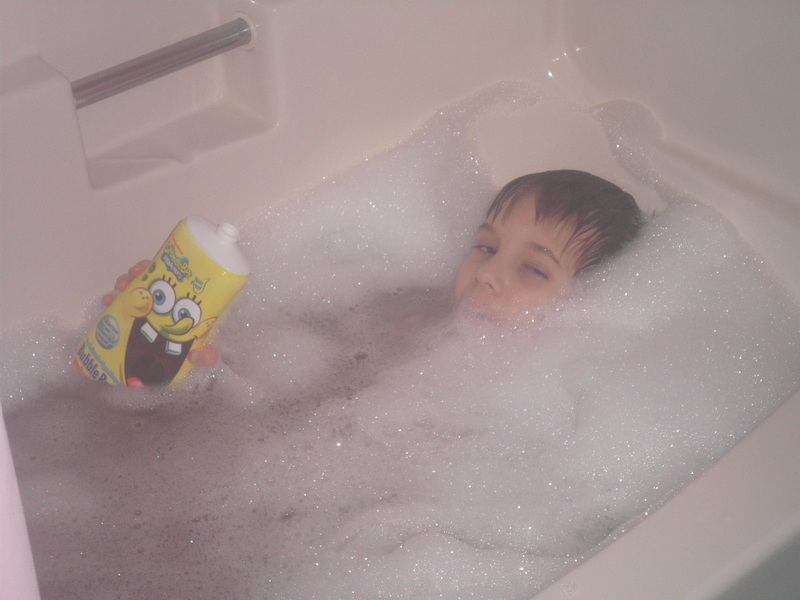 He loves the colorful Spongebob Squarepants container the bubbles come in, but they’re expensive so my mom secretly refills the bottle with something else every time he empties the whole damn thing into the tub, pouring water from the bottle to the cap and from the cap onto his head and then requesting various cups and containers into which he can continue the pouring extravanganza. Sometimes he’ll stay in there for an hour, sometimes 5 minutes, and there’s no telling which it’ll be. All done bath, he’ll declare, and then one of us has to hurry to grab up the towel while he runs into my mom’s room and jumps all over the bed, naked and dripping as we try to catch him. Jump! Jump! ‘Errybody’ jump! he sings and laughs, bouncing from one spot to the next like a jumping bean, until I catch him up in the towel and dry him as vigorously and quickly as possible before he can escape. Once dressed he stomps Olympic-quick down the steps to ask grandma for ‘tune-fish samwich’ and black soda, which we usually let him have because he’s getting much better at going pee and poopy on the potty. He did have an incident/attack where he lightning-fast shot out at his grandma, but Andy and I got to him before he did her any harm and then held him down on the living room floor until he calmed down again and we could go. When we got back home on Saturday I gave Andy a much-needed break by playing endless silly games with Jonah in the heated basement – catch the beanbag (what color is it? ), roll the pretend shopping cart, put the slinky down the stairs, stack the blocks (what color are they?) chase each other around – up and down the stairs – around the craft table – that kind of thing. It was fun and I snatched him up and hugged him tight, my sweet little boo. Yesterday I didn’t go over; I felt stuffy and sickly. When I called Andy he told me that Jonah had taken his radiator cover off and threw it into the hallway at 4am, which scared the bejeezus out of Andy, but I guess there was no fight or agression afterwards; Jonah just felt like kicking up the nighttime scene a notch, I guess. We’ll see how he does this week. Another psychiatrist appointment on Wednesday for some further med adjustment, maybe, and I’m supposed to be hearing from Springbrook soon, once they get Jonah’s paperwork. I sure hope they have bathtubs.